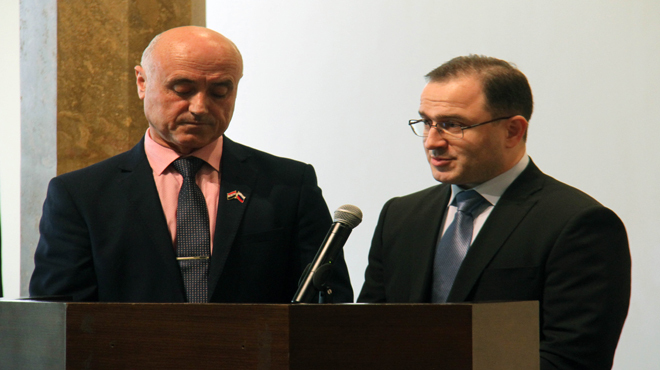 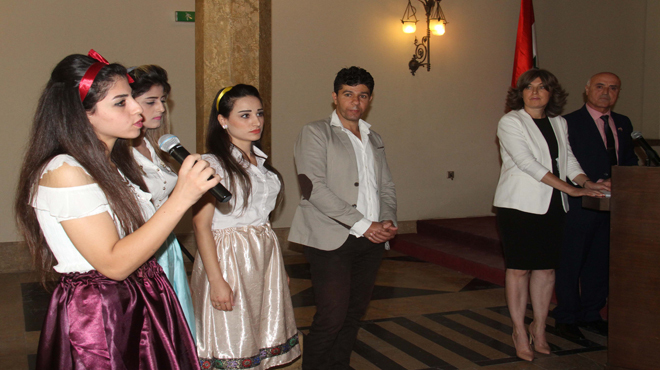 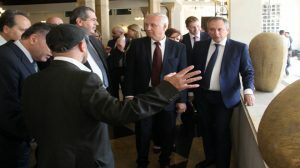 Damascus, SANA – A Russian center for coordinating cooperating in Russian language teaching was opened at the International and Cultural Relations Department of the University of Damascus. 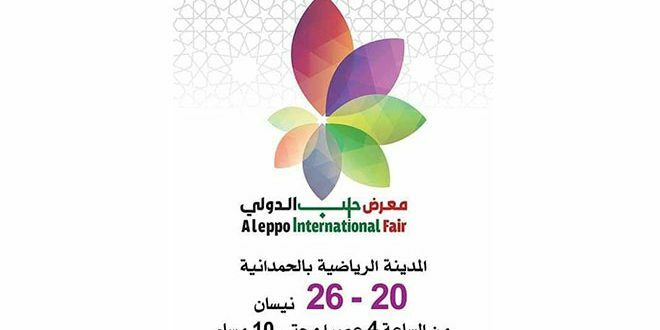 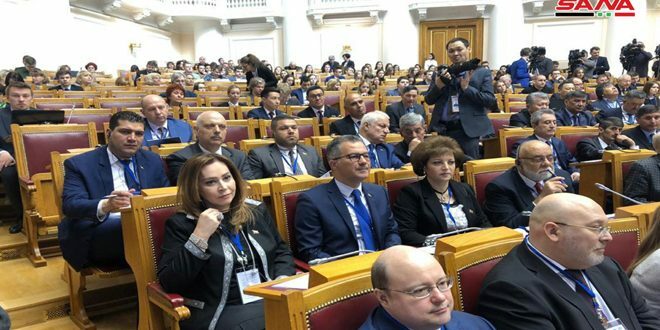 Speaking at the opening ceremony, Minister of Higher Education Atef Naddaf highlighted the importance of the center in terms of boosting teaching of Russian language in a way that would further bolster the communication between the two countries’ people, especially after Russian has been included in the curriculum of the Syrian schools. 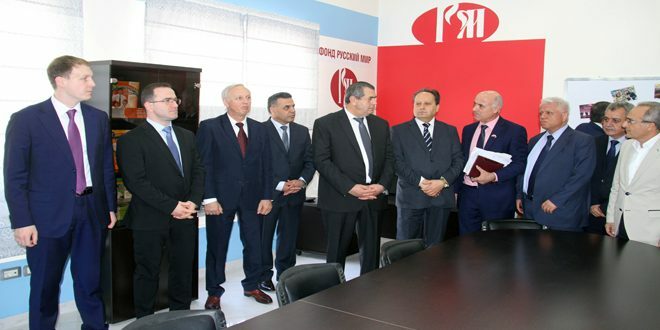 This requires preparing well-qualified cadres to professionally teach the Russian language, Naddaf said. 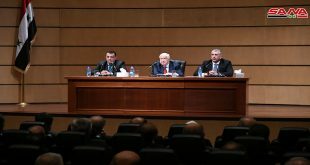 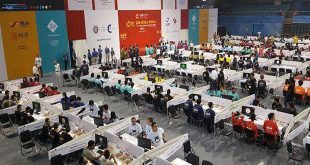 Svetlana Rodygina, head of the center, said the need to open the new center stemmed from the fact that there are increasing numbers of Syrians who want to learn Russian. 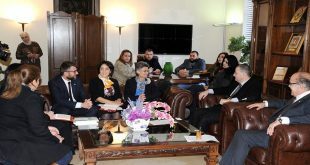 She noted that the center will support the Russian language learning process through coordinating cooperation between the Syrian and Russian universities, mainly Synergy University (Moscow University for Industry and Finance) which provides the books and references to the Russian Language Department at Damascus University. 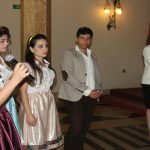 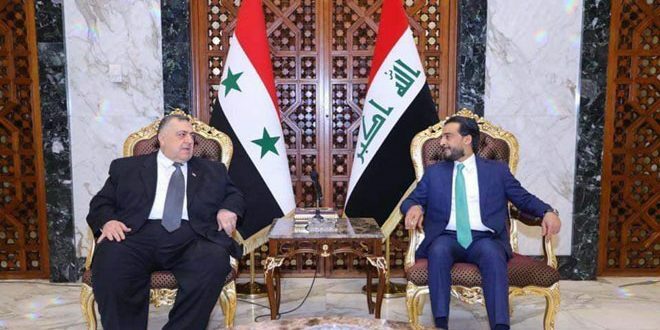 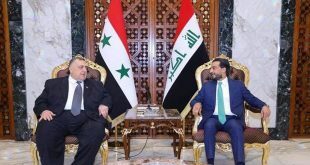 In a statement to the reporters, Minister of Education Hazwan al-Wazz pointed out that there are 170 schools in Syria that teach Russian and a second language, home to 15,000 students.